Jen Kates brings over 25 years of experience as a global home lifestyle brand creator, celebrity interior designer and highly successful residential real estate stager to the estate sale industry in Southern California. Jen’s stellar reputation as a “room whisperer”, garnered for her unparalleled ability in staging and merchandising, made her a go-to design consultant for a number of estate sale companies. Fittingly, Jen has now launched JEN KATES ESTATE SALES, a concierge estate sale agency dedicated to bringing a designer’s eye and a retailer’s perspective to a full menu of services. Our design team will devise a floor plan that organizes and arranges the home, room by room, for a well-appointed high-end retail experience. 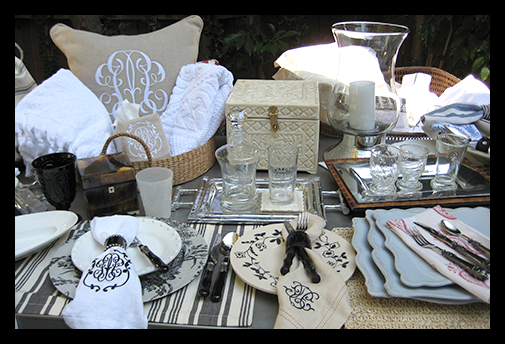 We transform your home into a chic retail experience during a multi-day estate sale with our experienced and welcoming staff. If you’re unable to hold the sale in your home, we can arrange a pop-up estate sale in temporary a commercial space. Our pricing team will expertly identify, appraise and assign the right sales price to your merchandise based on its fair market resale value. After the sale, we can arrange for liquidation clean-out services or donation of the remaining items. Post-sale house cleaning services are also available. After professionally photographing your home and its contents, we send the photos with item descriptions via email to thousands of potential buyers through our extensive client list and database, acquired throughout 25 years in the design and retail industry. Through Jen Kates Design we can redefine your new or newly decluttered home with an improved aesthetic harmony and beauty. In addition, through our extensive contacts in the L.A. real estate community, we can assist you in your efforts to find your next home and also stage your home for a quick sale.